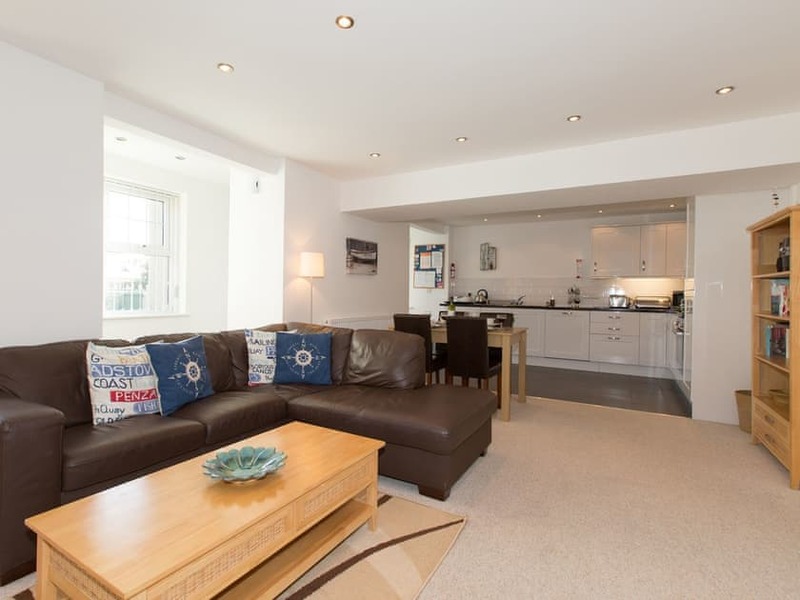 A modern and homely apartment located just a short stroll from Marazion Beach and St Michaels Mount. 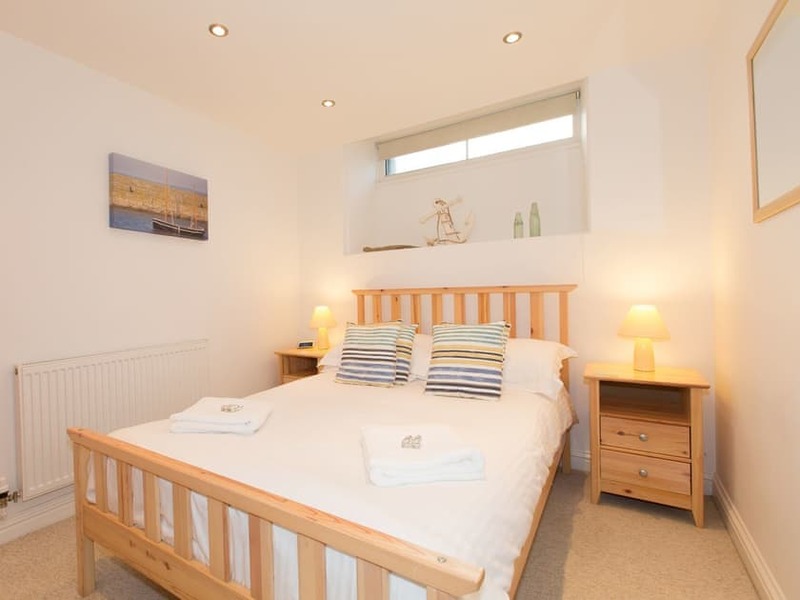 Beachcombers is a comfortable and thoughtfully furnished ground floor apartment situated just a short stroll from Marazion’s beautiful sandy beach. 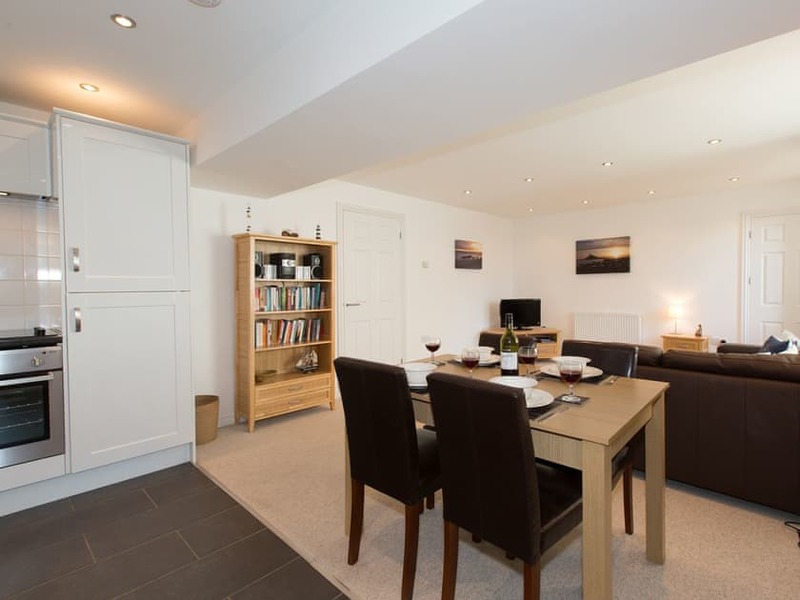 Inside, the apartment has a spacious open plan living, kitchen and dining area, the perfect space to enjoy a relaxing evening in front of the TV. 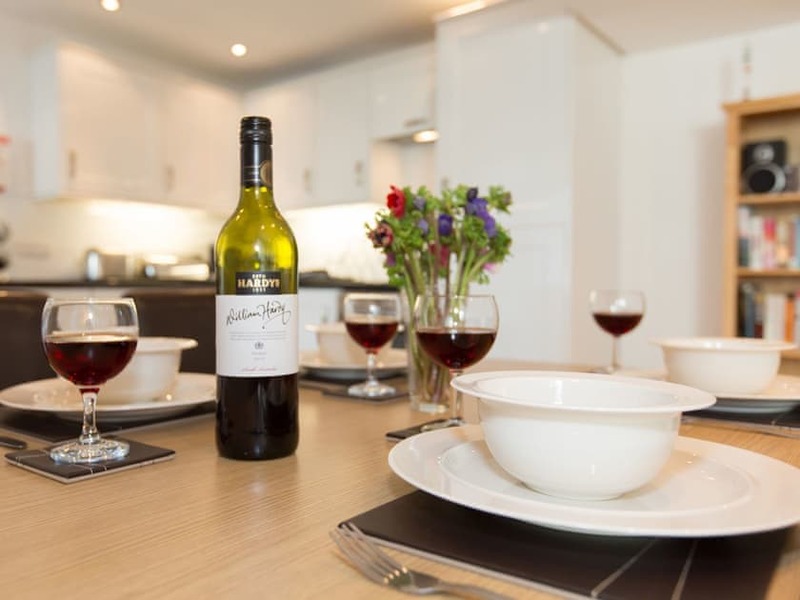 The modern kitchen is equipped with everything needed to prepare a lovely meal to share with your friends or family. 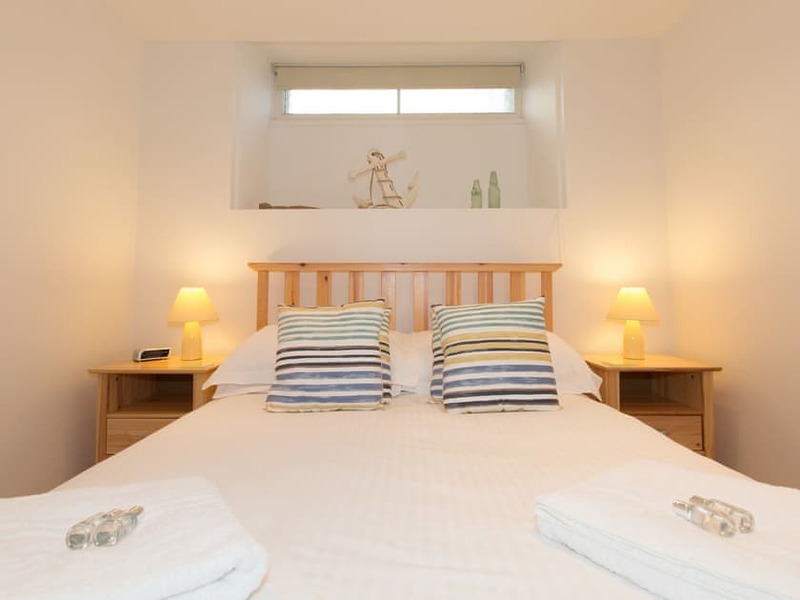 The cosy lower level bedrooms and luxurious bathroom make Beachcombers a great place to stay if you’re looking for a little rest and relaxation. 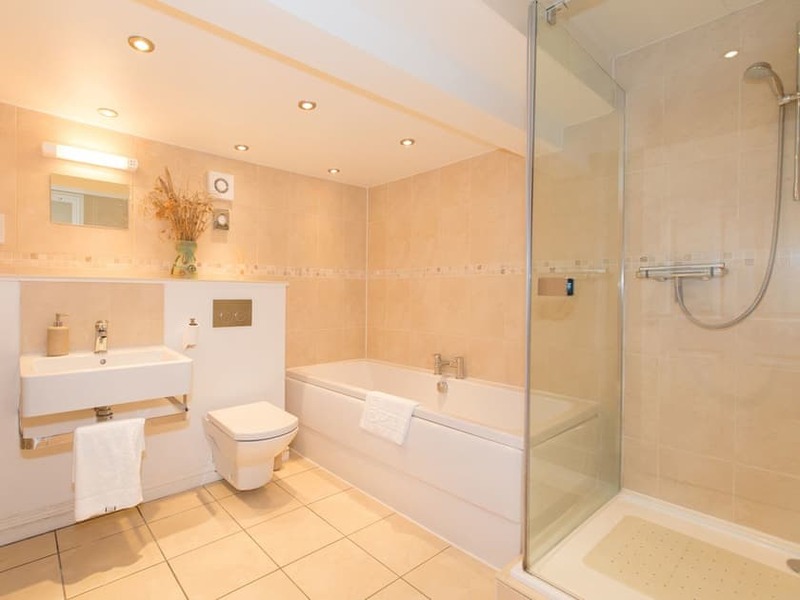 Why not enjoy a hot bubble bath with a magazine after a busy day exploring the beautiful surrounding area. 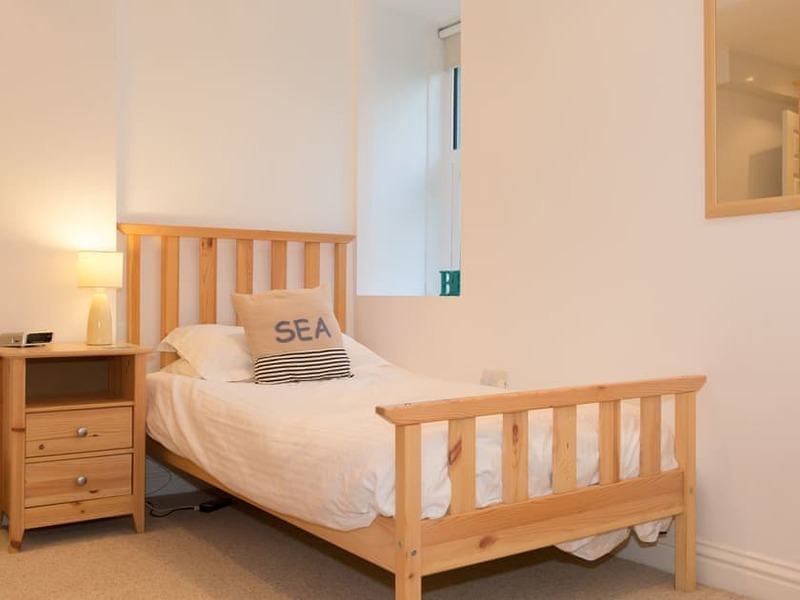 The apartment is located just 500 meters from Marazion town centre and beach where you will find a selection of cafes and restaurants serving fresh, local produce for those days where you don’t feel like cooking. 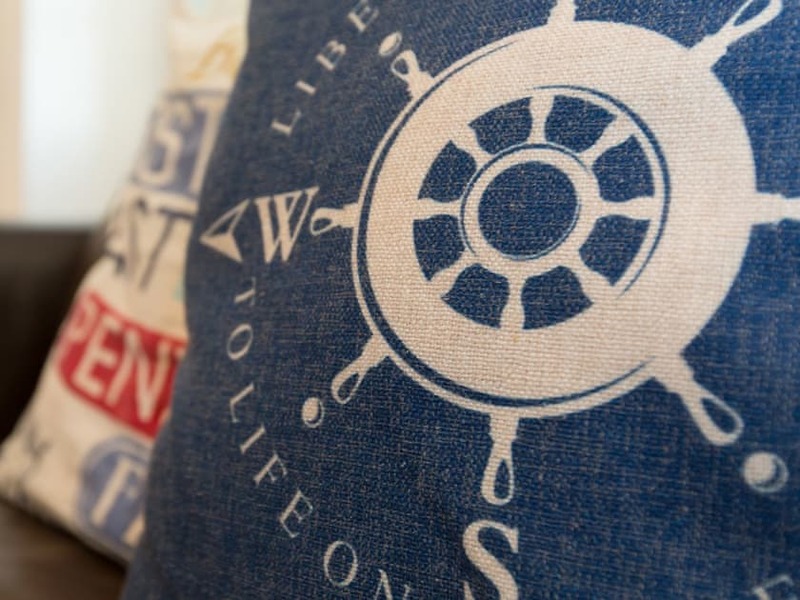 This quaint town also offers a few charming independent shops and art galleries, perfect for an afternoon stroll after a lazy morning on the beach. 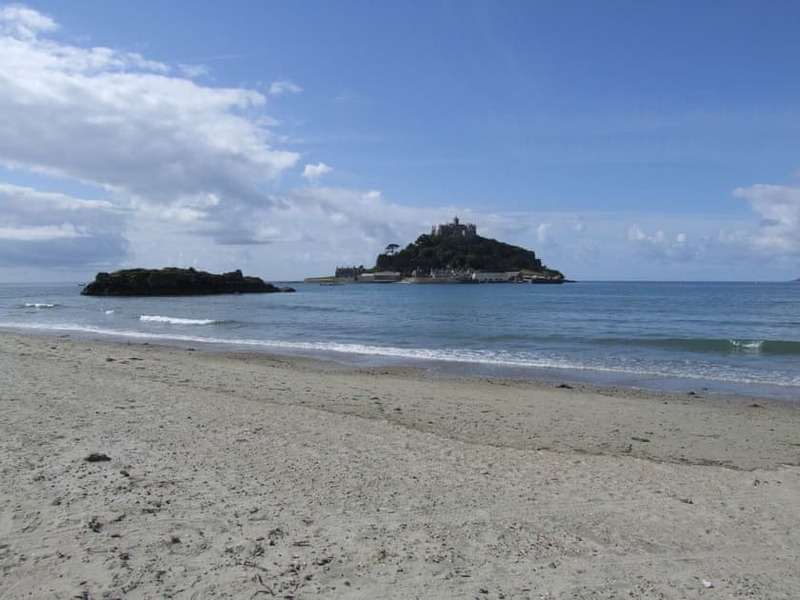 The boat jetty to get to St Michaels Mount, Marazion’s iconic Castleisland, is just 200 meters from the apartment and at low tide you can even walk across to see the stunning castle and gardens. 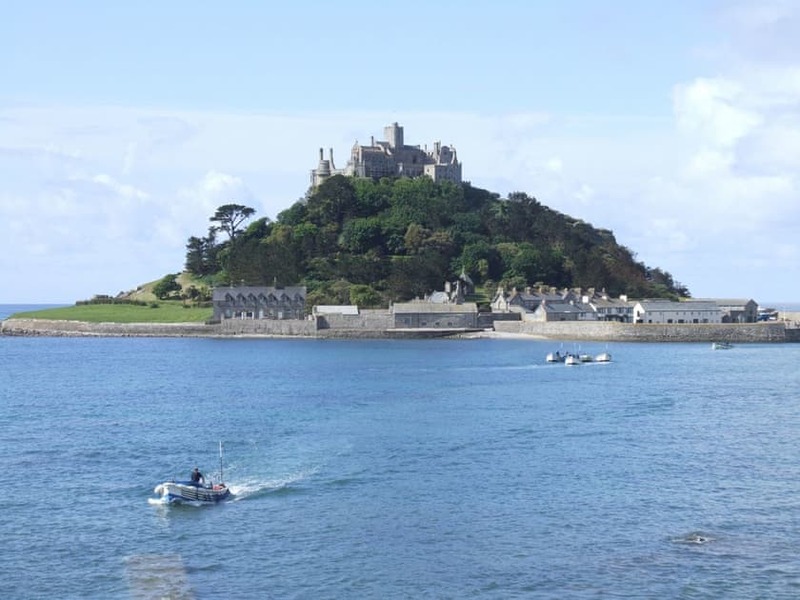 Views of St Michaels Mount are available from the courtyard/driveway also. Please note the access to parking area is very narrow and may be difficult for larger vehicles. 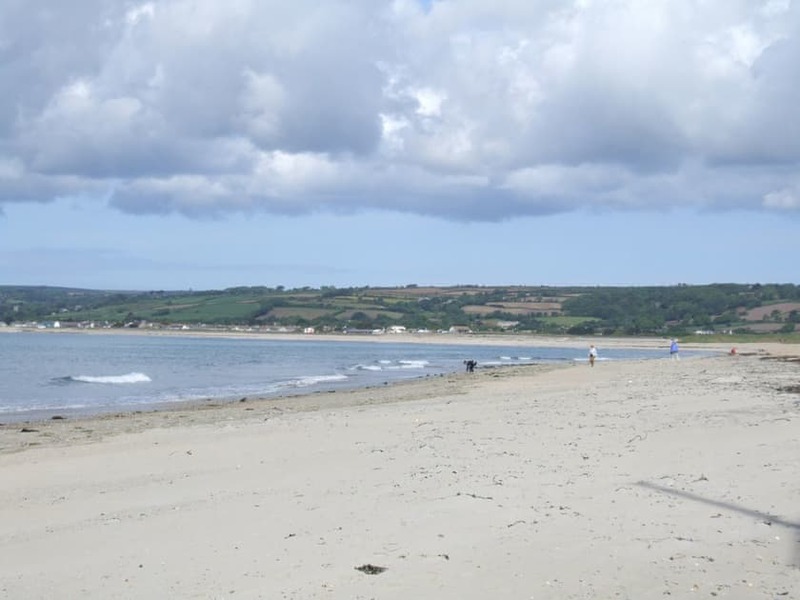 Public car parks are available elsewhere in Marazion if needed. 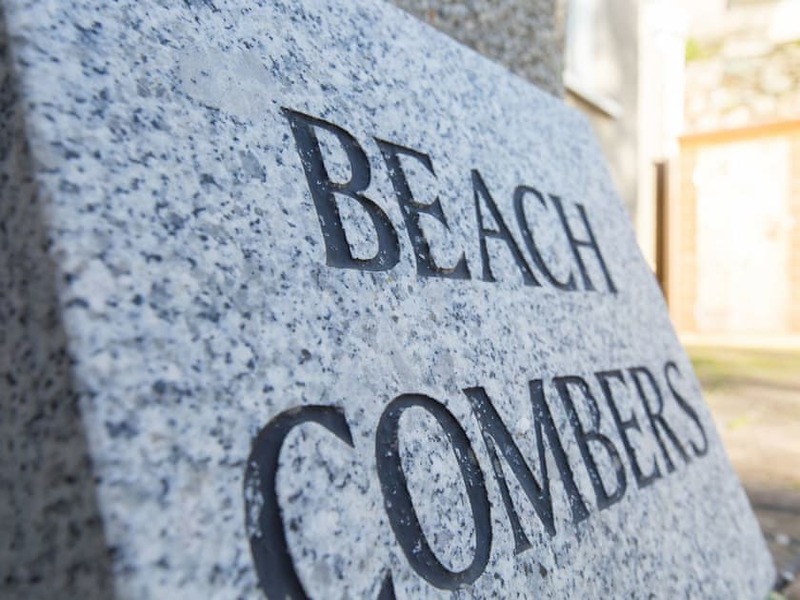 Please note that Beachcombers is strictly non-smoking property. We were there early Oct week before half term, parking OK and little noise because other flats were not in use. Close to centre of marazion bus stop outside coastal path near by. No view but the beach and mount is just down down the road. We would go again. Disappointed as no mention of location of bedrooms right next to footpath and road. Lots of noise from traffic, people walking past, ceiling very thin so could hear people above moving about. Slight smell of damp in bedrooms. Could not ventilate bedrooms very well, and yes the only thing mentioned on other reviews is the parking, which is extremely difficult. Comfortable apartment a few steps from beach. We had a great holiday. Living area is bright and modern with TV/ CD player. 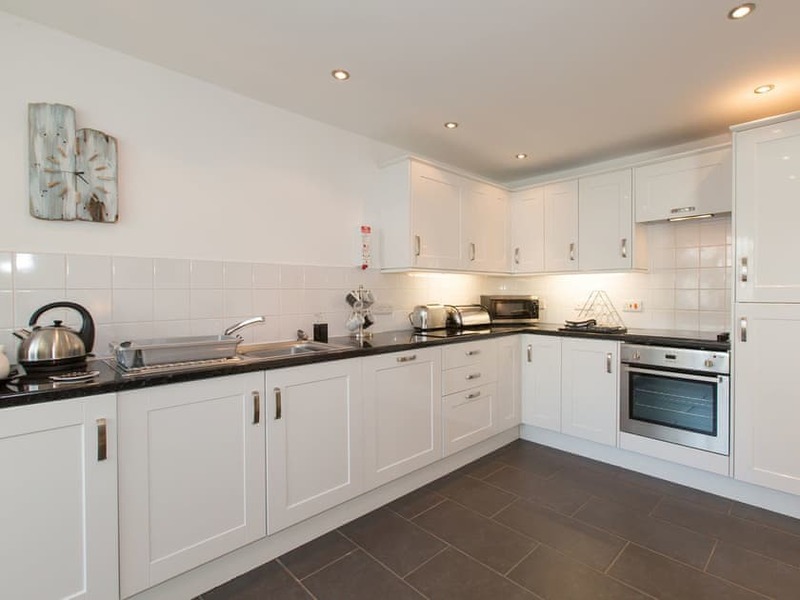 Kitchen spotless and has all you need for self catering. Supermarkets in penzance or local shop/for essentials and CASHPOINT. Flat is on one level but bedrooms and bathroom at the front are below ground level with small window. Inevitably some noise from road affects bedroom from early morning. 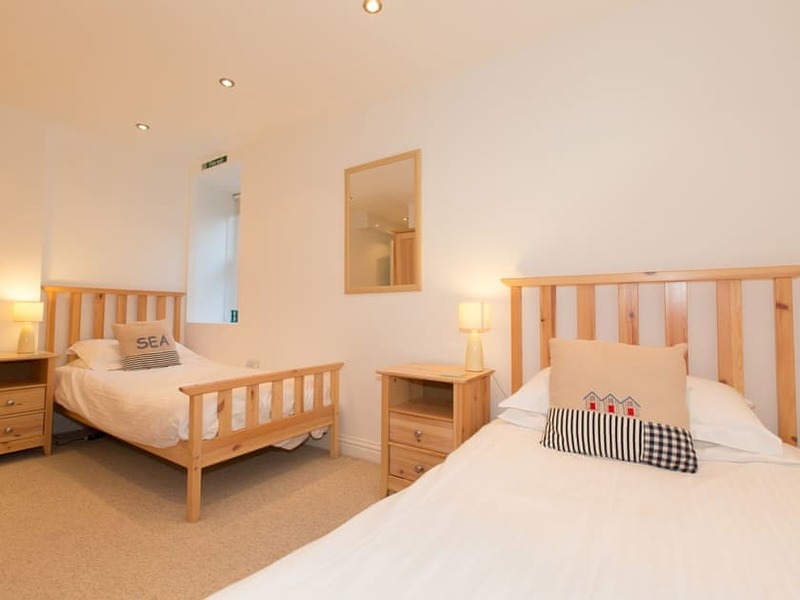 This is included in pre booking info and if you get up and out and about you probabably wouldnt notice.Also being a ground floor/ basement flat there was some noise from the flat above which would vary on who is holidaying there. Marazion is small but has nice places to eat. The best meal we had was at The Cutty Sark (exceptional) and Godolphin hotel. Philps for pasties, saffron buns and bread rolls. Parking was tight but this had been clearly stated. Cars filled the courtyard so no outdoor space. It could be easy to get blocked in but tight parking was definitely still a perk where parking is at a premium. A nice, clean comfortable place to relax in and make the most of the picturesque area. 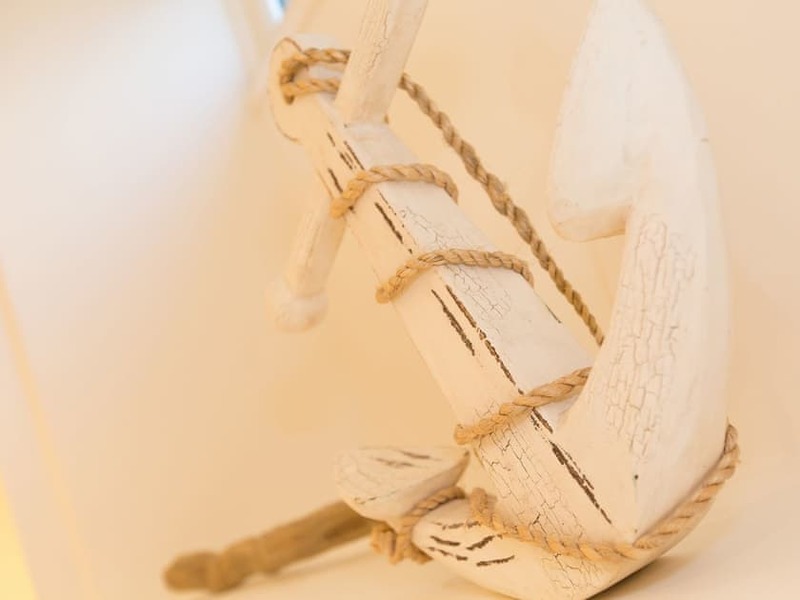 Beachcombers is a lovely property. Very convenient location. Suitable for families. Would spend time again in Marazion. As previous comments mention, the car space is tight but we were fine (estate car) - just take your time & have one person guiding you out! Itâ’s worth it for the great location.